Blanca is a highly regarded Global Human Resources (GHR) and Organizational Development professional with impressive credentials in developing and executing human capital management solutions. She is a senior level professional executive and trusted advisor with over 20 years experience including a Fortune 100 company (GE). Blanca always delivers the results that her clients seek and adds exceptional value to businesses with organization assessments, leadership development, cultural change, employee performance, diversity initiatives, talent management and program evaluation. With over 30 years of experience functioning as the chief HR executive in a variety of industries, primarily Technology, Telecommunications and Healthcare, John has a broad understanding of professional and organizational development in rapidly changing environments. John has been an early adopter of technology advances to scale the function and improve its efficiency and effectiveness. He has actively participated in over 50 merger and acquisition transactions, leading the people diligence pre-close, and developing the integration strategy upon completion of the transaction. 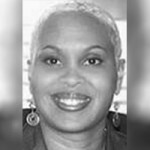 Sharon R. Dean is a Certified Professional Coach, Business Consultant, and Trainer with over 25 years of experience in various industries. Her focus is Executive and Career Transition Coaching wherein she leverages her leadership and management experience, along with several proven tools and methodologies, to achieve results for both organizational and individual clients. When working with organizations, Sharon predominantly uses The Birkman Method™ to coach executives beyond stumbling blocks that limit their leadership effectiveness. Clay has over three decades of experience in the consumer tissue and away from home tissue industries as well as personal care products in the feminine, adult and baby care categories. He is a former senior executive (Corporate Officer) for Kimberly-Clark Corporation with extensive international experience. 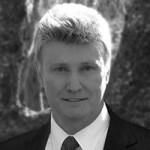 Clay most recently led the North Atlantic Supply Chain, comprising 22 manufacturing sites in North America, the United Kingdom and Europe, 10 countries in all. He has forged strategic partnerships with key equipment and material suppliers, driven manufacturing excellence initiatives and identified and implemented critical supply chain footprint consolidations. 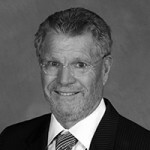 Ken Manson’s career spans forty years in the Commercial Real Estate Industry with Nationally recognized organizations including Gerald D Hines Interests, Cadillac Fairview Urban Development, Portman Properties, JMB Properties, Compass Management & Leasing, Grubb & Ellis, and most recently as President of Fifth Street Management Company. 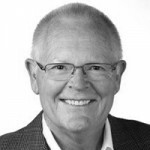 Ken has a particular expertise in the use of the Birkman Method to assess potential employees, manage existing employees, and coach promising executives. 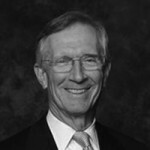 During his career he has employed the Birkman Method in over seven hundred instances to enhance the success of organizations of which he was a part. Linda McNeely McLeod is a consultant with Mulling Corporation where she provides Executive Coaching and Career Transition Services. She has 30 years of experience and expertise in developing and coaching individuals. She has effectively worked with all levels of management within Fortune 500 companies as both an internal Human Resource Leader and an outside consultant. 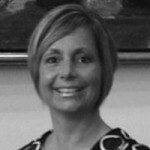 Prior to joining Mulling Corporation, Linda was Senior Vice President of Human Resources with Bank of America. 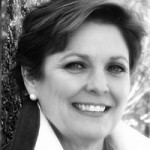 Dianne has over 16 years of experience in coaching and consulting with executive management. Dianne works with her clients to help them transform their executive performance and presence, interpersonal relationships and organizational results by helping them to recognize and utilize their natural and unique talents and qualities with confidence. She has worked with executives, manages and teams in healthcare, technology, banking, advertising, higher education, manufacturing, and non profits. Her experience, enthusiasm and commitment create a positive, productive environment for learning and change. 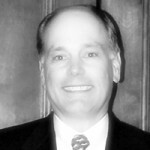 Terry White is a former senior level executive with 30 successful years in leadership roles for Genuine Parts Company (NYSE). The executive roles Terry held while in the manufacturing industry has prepared him to be an insightful and effective Executive Coach who draws from his experience to assist individuals in maximizing their personal talents within their organization. He has a reputation of success in helping individuals focus on and address their own developmental needs to increase their career success. The coaching experience was outstanding and the impact of the coaching was a positive impact on my life. 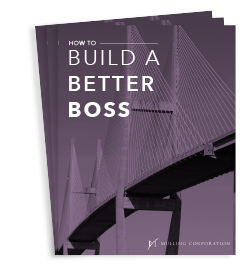 Mulling Corporation's approach wasn't to change me, but rather focus on my strengths and help me become more aware of the areas I can improve upon. My consultant was extremely effective in helping me organize my thoughts, plan for development, and implement behavioral changes. Mulling Corporation develops a strong partnership with its clients. He builds trust and mutual respect at all levels. He cares about the success of his clients and follows up and maintains a professional working relationship with his clients. The corporation enriches both the personal and professional growth of all clients. The Mulling Corporation, along with other support, saved my career as a banker. My Executive Coach was quite professional and geared his approach to enlighten me to see my weaknesses and overcome my objections to my leadership style. In my case, I needed some tough coaching. He provided it to me but with caring and thoughtfulness. He used his years of knowledge in the human resources arena to guide me to a favorable result.